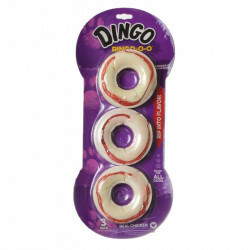 Dingo Small Goof Balls are a 3-in-1 chew, treat, and toy! 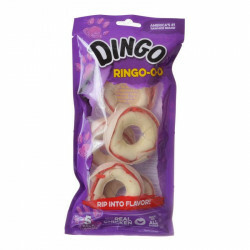 The Dingo Goof Balls are in fun rawhide shapes with the same great irresistible combination of real chicken breast jerky wrapped in the highest quality natural rawhide. 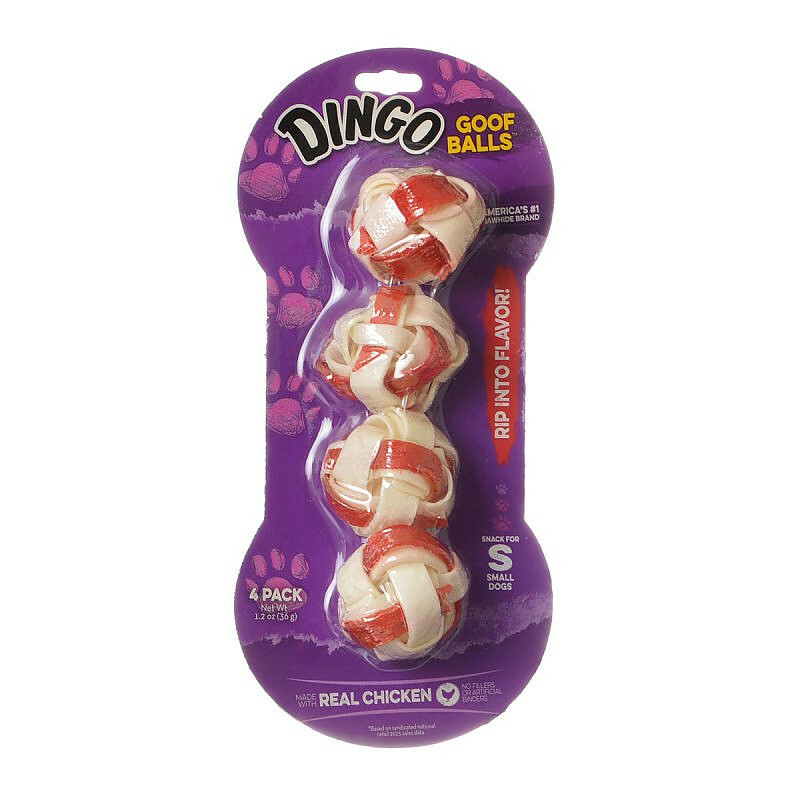 Dingo Goof Balls Chicken & Rawhide are ideal for interactive play and treat time! 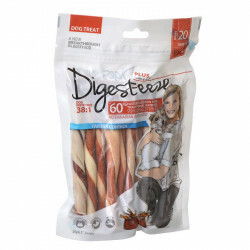 These Goof Balls offer the same great meat in the middle taste but in a fun and playful shape that dogs simply can't resist..
Great company-good prices and great shipping-fast and well packaged. All goofballs intact, rather than having the red chicken part broken and in the bottom of the bag. Great value, shipping was extra fast and an all around great experience. I will buy from this company rather than the "other guys." 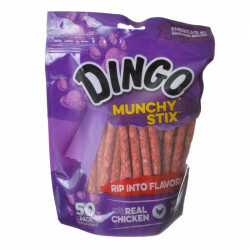 The cheapest price & free shipping on Dingo Balls Treats! I always research for cheapest online prices and low shipping cost and Pet Mountain qoutes the best prices by a far!!! I was so thrilled that I ordered in bulk!!!! Free shipping to Hawaii!! And it arrived as scheduled! I buy this in bulk. My 20 lb. service dog looks forward to getting his one-a-day small Dingo ball every night. I let him out to potty as soon as we get home and when he comes back inside he bounces around and just can't wait for it. He plays with it like a cat plays with a mouse, tossing it up into the air and chasing it, before he settles down to chew on it. He LOVES his DINGO balls! My three chihuahuas love the dingo balls. Every night after they eat their supper they have to have a dingo ball.